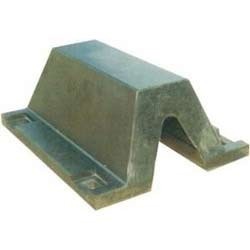 Corner Arch Fenders are economical and extensively used to protect corners of berthing structures/jetties from the impact of moving vessels/ boats. “DIPTI DCA series Corner Arch Fenders are economical and extensively used to protect corners of berthing structures/jetties from the impact of moving vessel/boats. “DIPTI DYA series Arch Fenders are an innovative modified version of other solid fenders like Arch & “W Type Fenders. Wharf side of Dyna Arch Fenders are fully reinforced with a steel plate, which spreads berthing loads on a wider area thus reducing pressure on jetty walls. Irm Offshore & Marine Engineers Private Limited. “DIPTI DAV series “V shaped Arch Fenders are to improve upon the performance of the conventional Arch Fenders with cost effectiveness. The shape and profile of the DAV series fenders allow higher deflection thus resulting into a better energy absorption and reaction force ratio. “DIPTI DFTA series Flat Top Arch Fenders are developed to reduce hull pressure, which offers excellent energy absorption with relatively less hull pressure due to its wide contact face. This is in fact positioned between Arch Fenders and "W" type Fender in the category of direct contact Fenders. IRM Offshores And Marine Engineers Pvt.ltd.